When you think of taking your kids to the park, what image comes to mind? When my boys were young, a “park” visit pretty much meant heading to our local playground for time on the play structure, in the sandbox or on the swings. 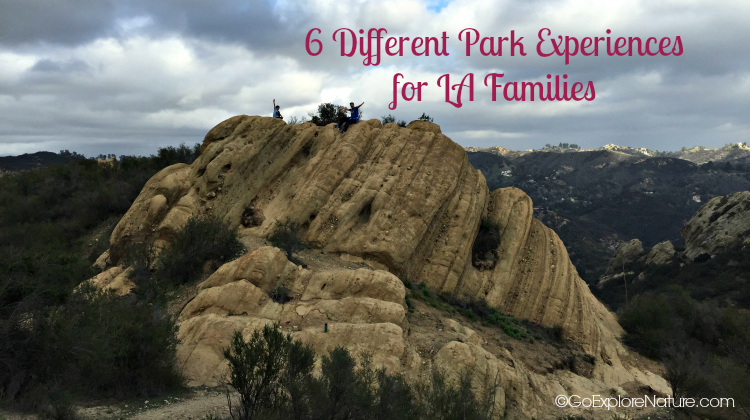 As the kids have grown, so has our definition of park time, which now includes visits to all sorts of outdoor places in Los Angeles. Turns out that a park visit can be just about anything your family wants it to be. 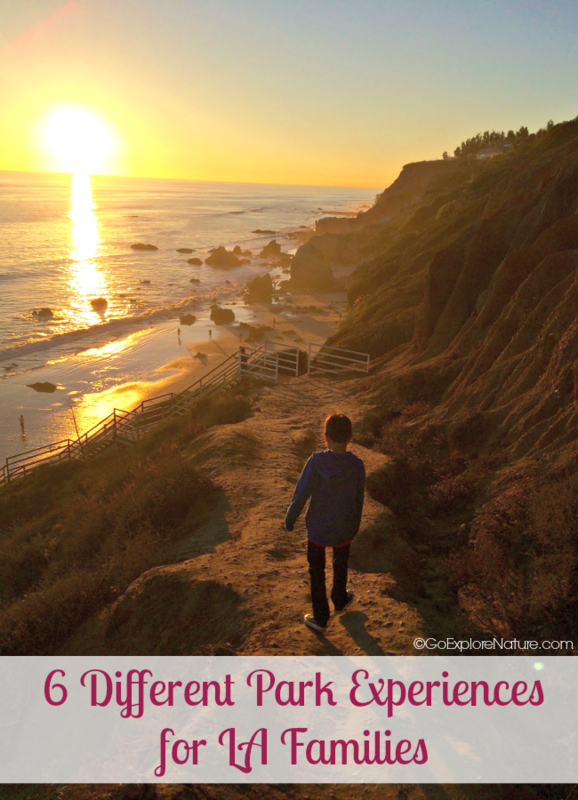 Here is just a small sampling of different park experiences for LA families. 1. Hike to a waterfall. Parks are great places for hikes. And the best hikes for kids are those that promise a fun destination, like a waterfall. 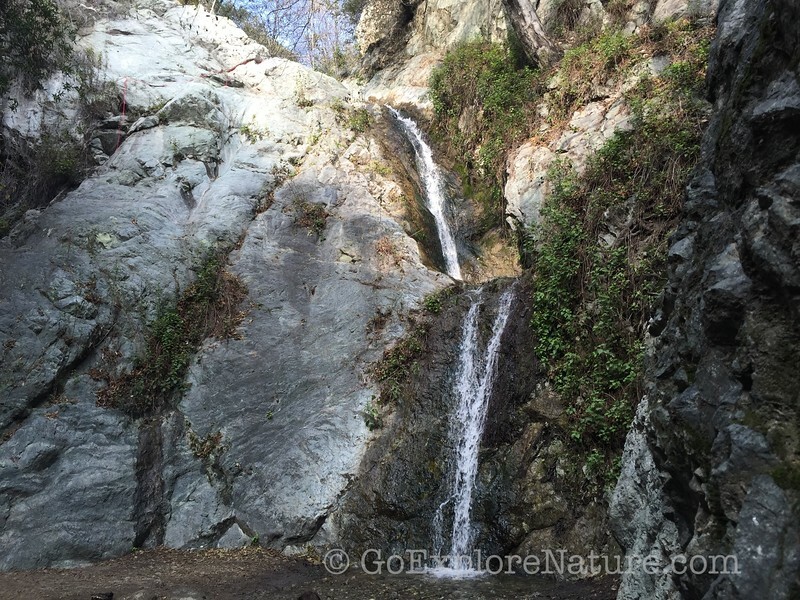 Monrovia Falls and Solstice Canyon are popular with my kids. 2. 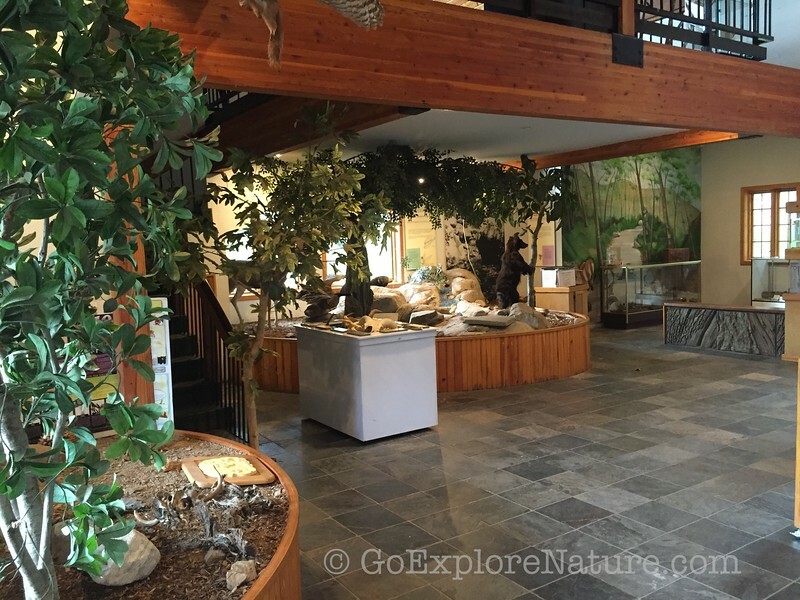 Stop in at a nature center. 3. Play at the beach. While you might not think of beaches as parks, many LA beaches are part of the California State Parks system. 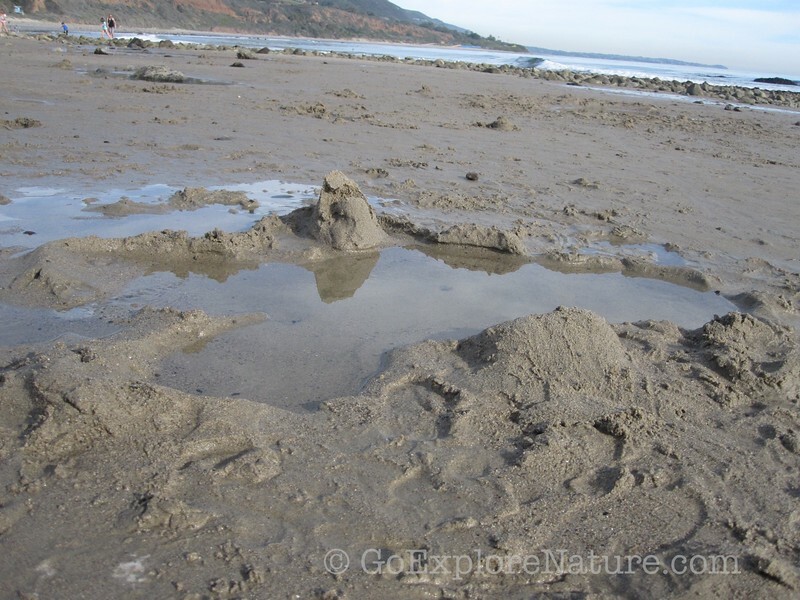 Explore tide pools at one of our favorite spots in Malibu – Leo Carrillo or El Matador. Or go for a hike along a beach trail like the one at Point Dume. Of course, the most fun is simply to splash and play at the shore! 4. Try a free, guided outdoor program. 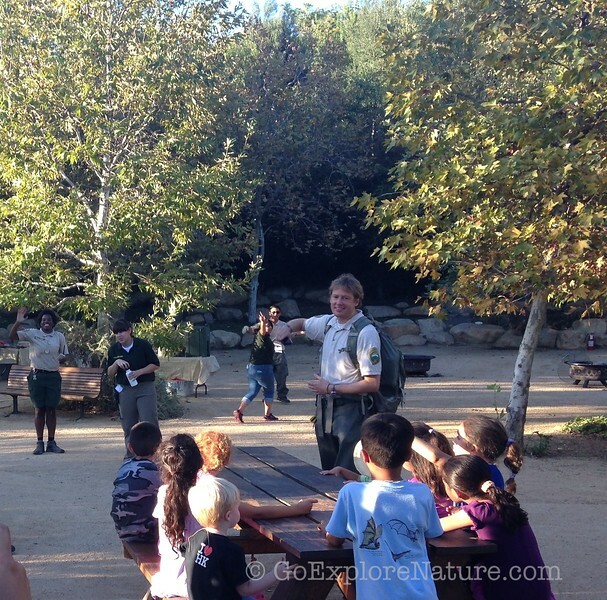 Several organizations in LA offer free outdoor programs for families in a variety of settings. Go on a ranger-led hike, stargaze, discover more about local wildlife or attend a summertime campfire. Not only are these free events that get your family outside, they are hosted by people with lots of experience and expertise that you might not have. The Venice Canals – the ones right here in Los Angeles, that is! 6. 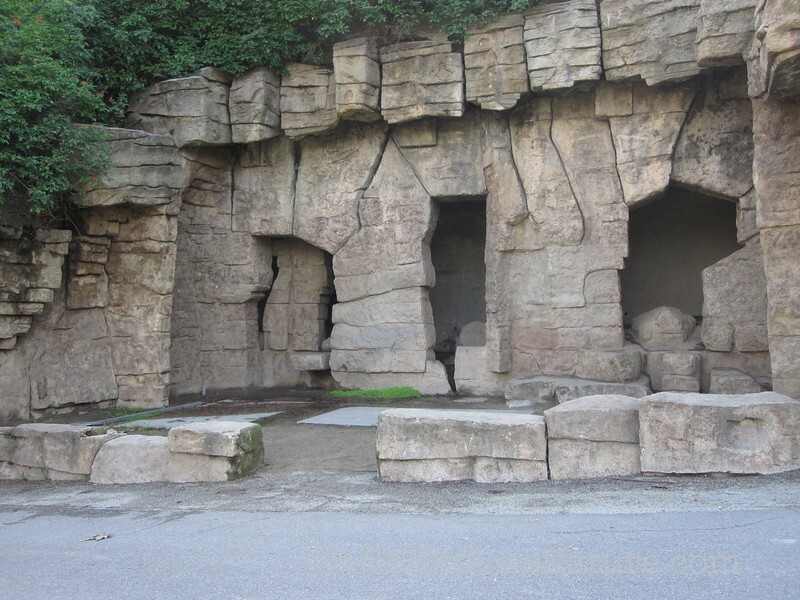 Become a junior ranger. 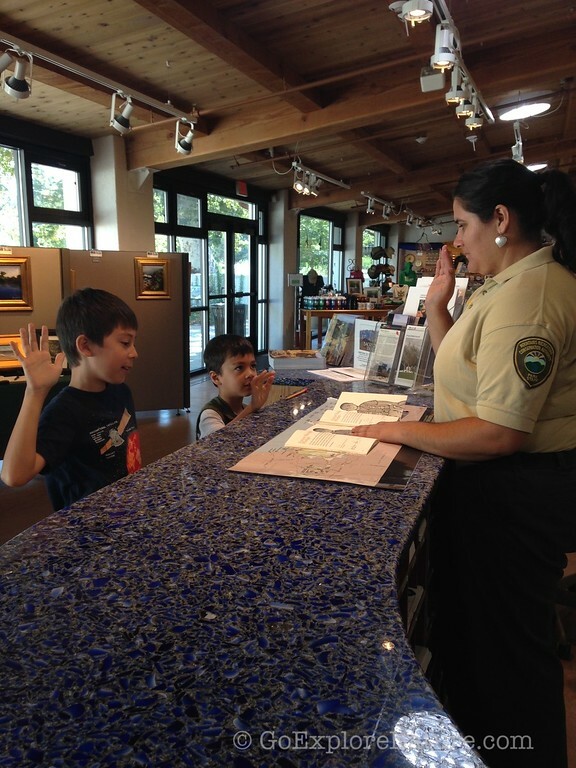 I’m hoping you’re already familiar with the National Park Service’s junior ranger program, in which kids complete a series of activities during their park visit, get sworn in as Junior Rangers and receive an official Junior Ranger badge or patch and certificate. Here in Los Angeles, you can pick up your junior ranger activity book for the Santa Monica Mountains National Recreation Area at King Gillette Ranch in Malibu. Will you pledge to visit a park? Please pledge to bring your kids to a park on #KidstoParksDay on May 21, 2016. We encourage you to visit www.kidstoparks.org and sign up so that your family can be counted in the national tally (it doesn’t have to be a National Park – and it doesn’t even have to be on the 21st). Prizes will be rewarded. Then, on May 21, families are encouraged to visit a park or recreation area and submit photos of their adventures to Buddy@BuddyBison.org for possible inclusion in NPT’s national map commemorating the day. We support this cause and National Park Trust every year — and hope you pledge every year, too!